At about 6:45 p.m. on May 24, 2014, I was in New York City and had just gotten in for the night after spending the day out exploring. I was just getting ready to call my mom and check in when called me first. When I picked up the phone, my mother was sobbing into the phone. 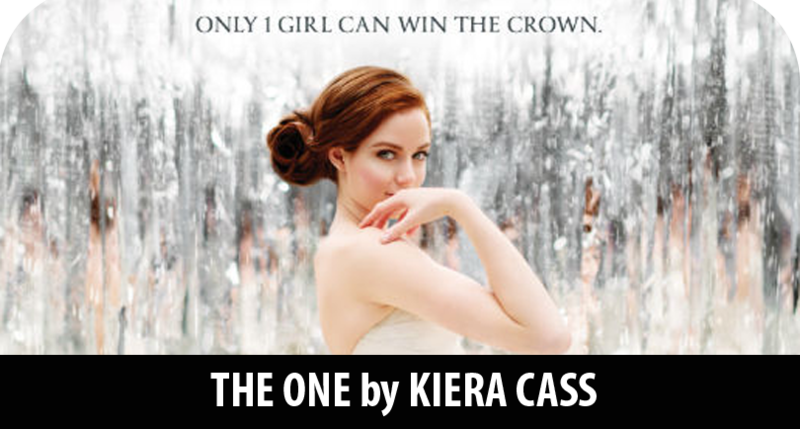 "Do you get to meet Kiera Cass while you're at BEA?" she asked. "Uh, maybe. She's ticketed. It depends on how I'm feeling and where else I am at that point in the day," I answered. "If you get to meet her, I want you to tell her that I had no idea how emotional these books would be and that I think they're just wonderful. Tell her that your father thinks I'm insane because I've been crying over the last couple chapters of The Elite for the past ten minutes." I think that conversation with my mom is what best sums up the The Selection trilogy. I've read so many trilogies, quartets, sagas, and other series since I started blogging. But of all of them, I think that The Selection trilogy is one of the most easily accessible. It doesn't require that you have a lot of experience reading dystopian novels -- though fans of The Hunger Games, Divergent, and the like will certainly enjoy it. You don't have to be able to grasp on to complicated or convoluted plots. It's not high fantasy, which requires a whole other kind of dedication of thought and imagination for seeing the authors vision and following what can be confusing plots. It isn't a straight romance novel. It's got some adventure, some excitement, a driving plot, and yes, all kinds of wonderful lovey-dovey feels and angsty feels and just feels, feels, feels in general. It is a perfectly well-rounded, easy-to-read, enjoyable series. It's great for teens and adults of all ages. You might wonder why I'd waited until the series was over to give it to my mom, but in early 2013 she started demanding that I only give her completed series or series that were going to be completed by or near the time she finished the first few books. I pretty carefully curate her library. I try to stagger the books I give her, alternating between dystopian, fantasy, supernatural, contemporary, between trilogies and standalones and more series with more than three books. I've been doing it this way for awhile and it's worked out very well for us. Before I left for NYC, I got on her iPad and I downloaded The Selection trilogy. She started it the day before she called me and finished the series the day after she called me crying and absolutely loved it. I was nervous before The One came out. And I was a wreck the night it was released because B&N's auto-delivery was far less than timely. Luckily for me, in my desperation, I accidentally pre-ordered it for both my Nook and my Kindle. I RARELY purchase books with my Kindle. I use it specifically for review copies. But at some point in the past year, I must've decided I wanted it enough to pre-order it because at 12:15 a.m., it had arrived on my Kindle, while my Nook was still showing it as undelivered. There were no advance release copies for The One, which was a tactic Harper Collins took with Allegiant also. So naturally, I was nervous because all know how Allegiant turned out and I didn't want any emotionally crippling endings or surprises. But my worries were for naught. I tore through the first 200 pages before I went to sleep and finished the last hundred or so the next morning. It was a bit of a nail biter, but I finished the book with a big smile on my face. 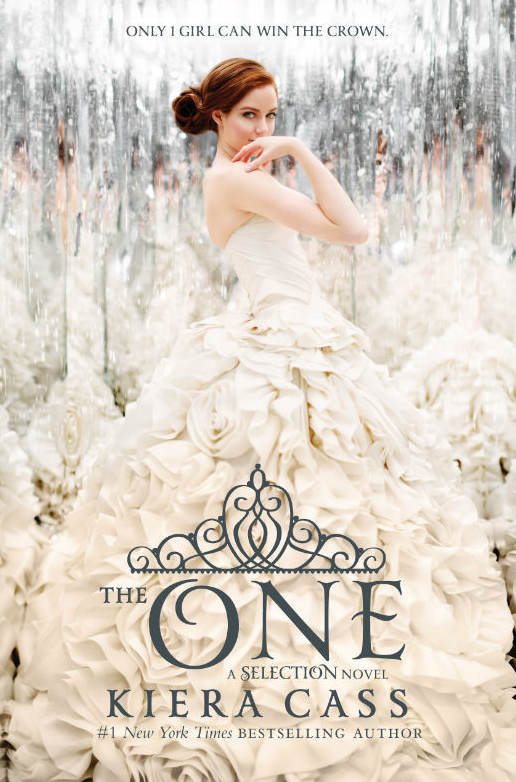 I was very much a member of Team Maxon and, as such, was totally happy with the ending. The One was much like its predecessors: An absolute joy to read. Full of great quotes and a story that was exciting to watch unfold. I enjoyed watching America's friendships change with the other girls, particularly with Celeste and I found myself genuinely sad when she died. I was also devastated when Maxon's mother died -- I really wanted to see her bond with America and that was a place where I really could've used a little more. I loved The One. It was a great read. If I was the kind of girl that could go to the beach without frying like an egg, it would've been a great beach read. I am the kind of girl who, when she is in NYC, goes an reads in the park. Had I been in NYC when The One was released, it would've been an excellent Washington Square Park read. But for me, I found I was missing just a little ... something. Maybe it was some complexity or something a little deeper? Maybe I wanted certain elements of the plot to be better described and developed upon? It was emotionally really satisfying, but mentally, I was craving something richer. Then again, I'm relieved it wasn't the gut wrenching in the way that Allegiant was. And in general, I just don't have a lot to say. I feel like this is one of those books everyone waited for and everyone reviewed and most everyone liked and I don't really have a fresh viewpoint, only a few things that I wished there were more of and this kind of ghostly feeling of not being totally mentally satisfied, yet still loving the book. For that reason, I gave it 4.5 hearts. But I really did love it. I had my issues with this series, but it's definitely a great read.